A city surrounded by mountains so close that you can wake up early in the morning and gaze at their mesmerizing beauty. The famous Brahma temple and dargah are also situated in this city. Besides being a tourist place, this city also offers good schools that are now increasingly focusing on quality education. As the data suggests, overall quality education is improved in Rajasthan by at least 8-20% during the last two years. That data clearly indicates that there are good schools in Rajasthan, let alone good schools in Ajmer. A good school focuses on extra-curricular activities, practical knowledge as well as theoretical knowledge. What is the point in memorizing how electricity flows if a child is not able to make a simple electric circuit? All these schools focus on inculcating important values and making your child an all-rounder. Apart from academics, these schools also help develop the personality of your child, their ability to deal with pressure, and willingness to take risks and work hard. Below are some of the good schools in Ajmer you can consider for your child’s overall growth. This is a simple list and not ranking of schools. Founded in 1980, by the President of Mayo College General Council late H.H. Maharao Bhimsinghji, Mayoor school has since built up a reputation for providing quality education. Balanced growth of a child with a global outlook is their mission, which can clearly be seen from their cultural events and extra-curricular activities. If you want your child to not just memorize but to apply, enjoy, and grow, this school is among the good schools in Ajmer you can go for. This one has everything important facility for every age group. Sophia school was founded in 1919 and is managed by mission sisters of Ajmer. It is a girls school and is open for admission to every girl irrespective of religion. Sophia schools have a great reputed presence in various cities across North India. Just like Mayoor, Sophia school also believes in the balanced development of a child that includes academic performance as well as extra-curricular activities. 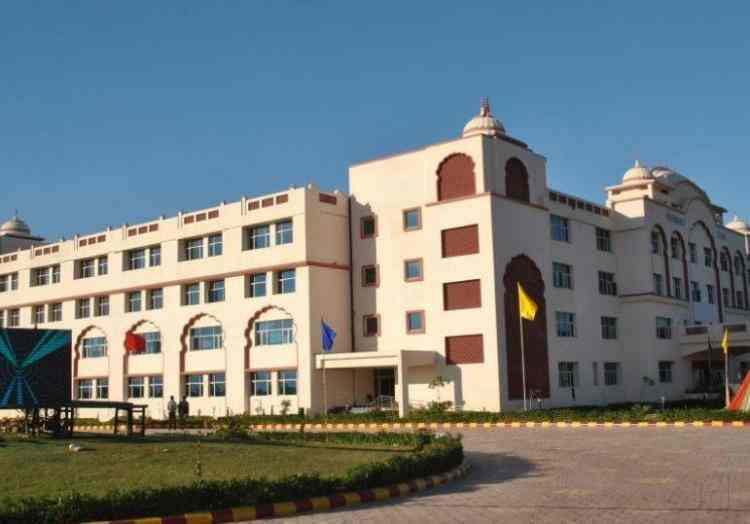 Therefore, this one is also among the good schools in Ajmer that you can consider for your child. Activities for Kindergarten Section: Singing, dance, PT, playing. PT, dance, and singing for primary and secondary sections. Sanskriti school aims to provide a challenging and supportive environment for students to help them achieve highest standards which they are capable of. Be it academics or extracurricular, Sanskriti school has everything a child requires for a growing mind and body. That is why it is a must in the list of good schools in Ajmer. The Ryan group started their first school in 1976 and today it has a total of 135+ schools across 18 states of India. With a proven track record of qualitative learning, the school is surely among the good schools in Ajmer. They believe in The KASSM approach, Knowledge, Attitude, Skills, Social and Moral Values. 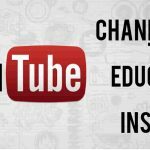 All of these things are equally important for Ryan school as well as for parents. Like the above-mentioned schools, this one also has to offer a plethora of facilities needed for KASSM approach. Ryan schools also send students to Indian Model United Nations (INMUN) where delegates from 120 countries come together and put efforts to resolve issues in the world. Delhi Public schools feel that it is their responsibility that their student should be able to adapt as per future trends with overall personality development and academic performance. This responsibility itself speaks about the school. If we are talking about good schools in Ajmer then every parameter for child’s learning and development should be covered. DPS does their best to make your child achieve his/her maximum potential and skills. It was formed in 1940 by the name “St. Anselm’s Annexe” as it was in the St. Anselm’s campus. Today, run by Roman Catholic Diocesan Education Society, Ajmer (Rajasthan) through its member priests, St. Paul’s school has made a commendable contribution towards helping lacs of students achieve their maximum potential and have a lucrative career in whatever field they like. Only academics excellence is no longer demanded in today’s world. One has to be smart, innovative, and think out of the box. The schools teaching methods are aimed at producing future leaders who are easily adaptable to change. Like Sophia, Saint Mary’s is also a Christian minority educational institution, and the very first. 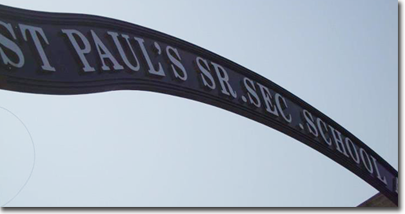 St. Mary’s has been in existence for over 121 years, carrying a proven track record success. It is also a girls school open for admissions to all girls irrespective of religion. Their motto is LET THE LIGHT SHINE, light of truth, compassion, kindness, forgiveness, love, and charity at all times and everywhere. Your child will be taught moral values and their importance, that much is pretty clear from the motto itself. Besides this, they also believe in overall development including academics, practical applications, physical fitness, sports, extra-curricular etc. Their teaching methods are designed in a way that prepares your child to become a future leader. Presidency school strives to provide best possible resources to students for their academic and non-academic success in future. Teaching them social and moral values, making them future-proof with dynamic leadership lessons are also among their top priorities. And the most important thing, applying the logics practically is focused on. This is what all good schools in Ajmer focus on. Their seven Cs are Creativity, challenge, communication, caring, community, consistency, and contribution. Not just in Ajmer, St. Anselm’s has a good name in numerous Indian cities. Therefore one of the good schools in Ajmer includes this name. Quality education is their utmost priority and with a special focus on character building. They want the students to reach the pinnacle of what they desire to do in life. Exposing them to various extra-curricular activities and sports is what they believe essential for overall development of a person. Good schools in Ajmer and even in Rajasthan have a true understanding of what is required for child’s overall development. 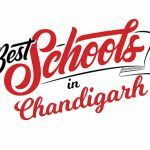 You have the top 10 good schools in Ajmer. 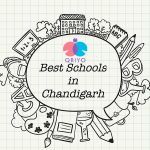 If you have moved to Ajmer and looking for a perfect school for your kid, we hope our post helped you to narrow down your search. Finding the right school is crucial, just like finding the right home tutor is crucial. Every child has his own strengths and weaknesses, sometimes, the child is not able to overcome his weakness in school. Don’t let that weakness become a big problem in future, get an academic home tutor for your child, with his personal attention and consistency, your child can keep all the subjects together and score well. Qriyo also offers home tutors for extra-curricular activities. If your child likes to sing or play guitar, get a music home tutor with whose help your child can surely win competitions in school. Download our home tuition app or visit our home tuition website to request a demo today. Losing 32 kg (70 lbs) of body fat on my own made me a self-taught fitness instructor. I help people achieve their fitness goals the right way. Don't just take my word for it, feel free to verify any information that I provide. I believe we should start teaching our children the importance of health and nutrition so that our next generation could become smarter and healthier.